Frederick, Md – (RD)- Frederick City Police arrested a felon with a loaded .380 semi-automatic hand gun. 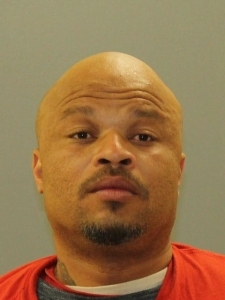 On Thursday evening in the 100 block of South Bentz Street Officers Johnston and Hamilton were approached by Dearil Green III, 42, of Frederick, MD. Green told the officers that they could search him. Due to the very unusual request, the officers began to engage him in conversation. The officers could smell burnt marijuana coming from Green. As the officers attempted to place Green under arrest, he resisted and assaulted Officer Johnston. The officers were able to get Green in handcuffs, and while searching him, they found a loaded handgun in his pants pocket. Green was charged with numerous offenses including 2nd degree assault and possession of a firearm by a felon. Green was taken to the Frederick County Adult Detention Center.